100 miles, what a feeling! 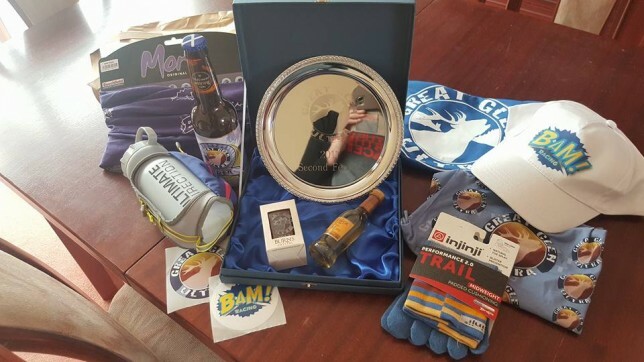 The 100 mile barrier is the obvious next step up from the West Highland Way race, but until this year I hadn’t really seriously thought about doing it in the near future. I’m still quite young in terms of ultra-running and hope to have plenty more years of racing and adventures to come. However, when you meet inspirational likeminded people on your crazy journey, these idea come into play much more quickly that you could imagine. The 1st of April 2018 was when this ridiculous plan was hatched. Jo and I had travelled up to the North section of the West Highland Way for a big training run ahead of my WHW race in June. It had been the farthest both of us had run in quite a while; me coming back from injury and Jo getting her running mojo back after a brief dip having had a phenomenal 2017. We’d got up at ridiculous o’clock, watched the sunrise as we drove through Glen Etive, had perfect weather, a brilliant run and were totally inspired. 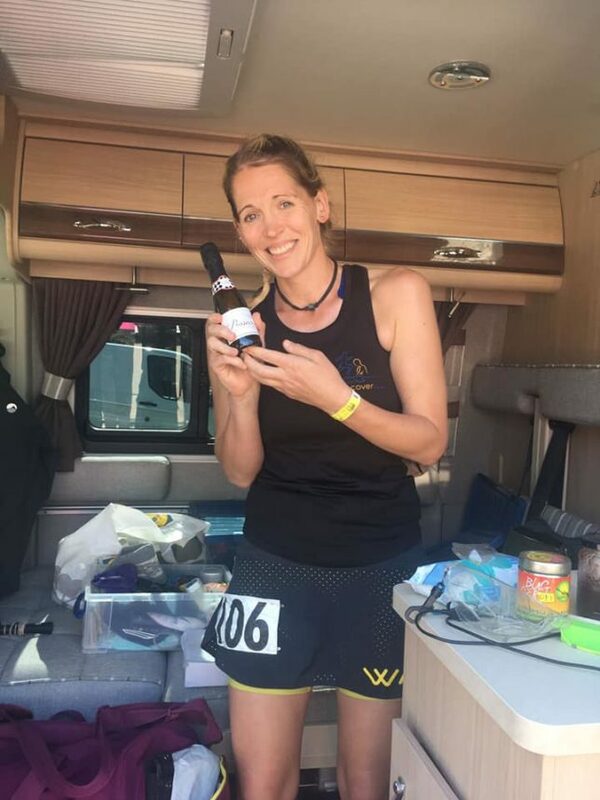 We decided somewhere along the way that the huge distances in the races we were already doing that year (the WHW for me and the Great Glen for Jo) were not far enough, and we wanted to make it our aim to break the 100 mile barrier that year. 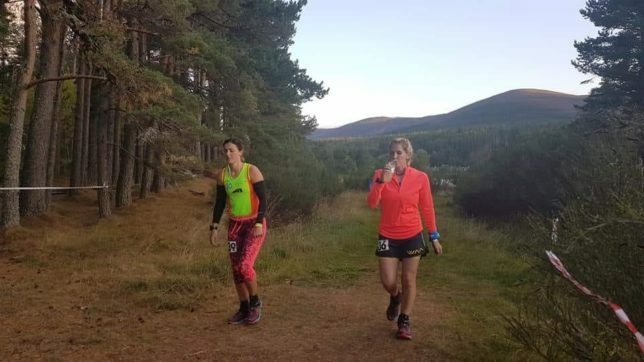 That evening we both put out names on the Glenmore waiting list with a backup plan of running part of the Costal route supported by friends if we weren’t successful in getting in. The longer the wait, the more we really, really wanted in. We banked loads of miles, hills and even got in a wee practice run of running loops by going around and around and around Lochore Meadows for 6 hours taking in Harran Hill on each loop, which is a bit steeper than the hill on the Glenmore loop, but elevation is always good! In August we got the word, we were both in and we were absolutely delighted! Our plan started to come together and we were both thinking the same; go hard or go home! The last few weeks of my training weren’t exactly ideal as I was on holiday in South Africa for 10 days, 6 days of which being on safari so running wasn’t an option until back at our rest camps. I managed a few headtorch runs around the camp (loops, handy!) and my last bigger run being a rainy trip up the Ochils with Jo as soon as I got home. Then it was 2 weeks of taking it easy and building up all our race day plans. Our crew was assembled; coach Neil who had crewed for me with Jo at the WHW race (guessing I wasn’t that much of a diva then!) and Jacqueline MacIntyre, a good friend of Jo’s and a fellow Carengie Harrier who is a pretty phenomenal runner and would know to force feed us and make us push hard when we were starting to suffer. We had our race plans drafted up (a very rough guide of timings for laps, pacing and how often we should stop and eat properly) and it was time to start packing the countless boxes of clothes, food and all sorts of random stuff you need for a weekend in the Highlands (citronella candles, midge nets, warm clothes, hats, thermals, sunglasses…etc!). My working week ended at 12pm on the Friday giving me plenty time to have a power nap, repack everything, flap a bit and stress Craig out before Jo picked me up at 4pm to go and pick the van (“Winnie”) from Craig’s parents (who have very kindly told me I can use it whenever I want and I am so grateful as it’s the business!). Just before 4pm she arrived and we were off, along with my very confused collie Skye who was going on her holidays to Craig’s parents as Craig was working nightshift. Everything was loaded into the van, Jo’s car was dropped off at her house and we were on the road North, signing at the top of our lungs and elated the adventure was finally here! After a few hours of road rage following a very erratic driver we arrived at the Hay Field, which is situated a few miles from Aviemore next to the beautiful Loch Morlich. We parked up in a fab spot on the gravel in the Hay Field, right next to Rodger and Dawn Sangster who were whipping up and awesome smelling pre race meal. We’d stopped for chips to share on the way up, not knowing how long Neil would take to get up and not sure if he’d eaten or not, so held off having anything more until he arrived. Luckily he hadn’t, so it was back in the van and down to Aviemore for (another!) chippy, this time pizza for me an Jo and a haggis supper for the Boss. Back at the campsite the pre race party was in full swing and although we hadn’t come prepared (Hawaiian themed), we joined everyone for a couple of drinks before Jo and I retired to the van to bag some well needed sleep before we’d be on our feet for a long, long time the following day. 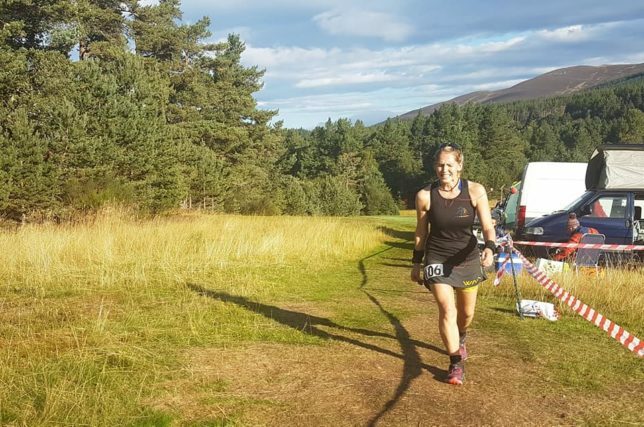 The race consists of 4 mile loops through the forest where the first 2 miles are relatively flat and then there’s a mile of uphill and then a mile of downhill which takes you back to the campsite. 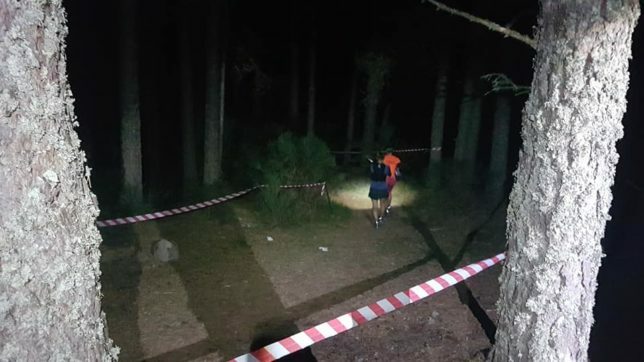 You enter the campsite at one end, dib your timing dobber which puts a live update online so everyone back home can track your progress, check in with your crew if necessary then loop around the campsite and start your next 4 mile loop. 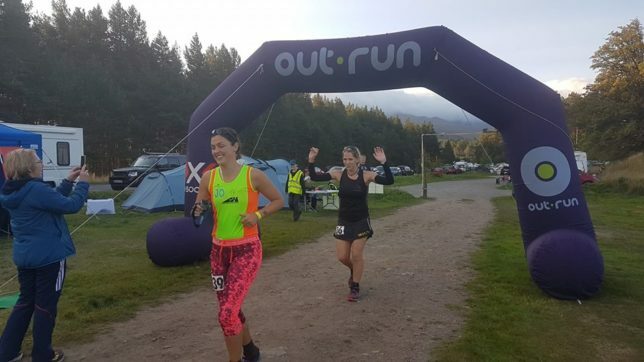 The aim of the game is to run as far as you can in 24 hours from midday on the Saturday around the big loops, and the at 11am on the Sunday a smaller loop round the campsite opens (400m on the grass with quite steep ups and downs!) and that’s when the campsite turns a scene from a festival with everyone cheering and 100 or so 24 hour runners going round and round in various states of sleep deprived and brokenness, like a scene from a comedy film. There’s also a 12-hour race which also starts at midday on Saturday until midnight with their wee loops opening at 11pm. 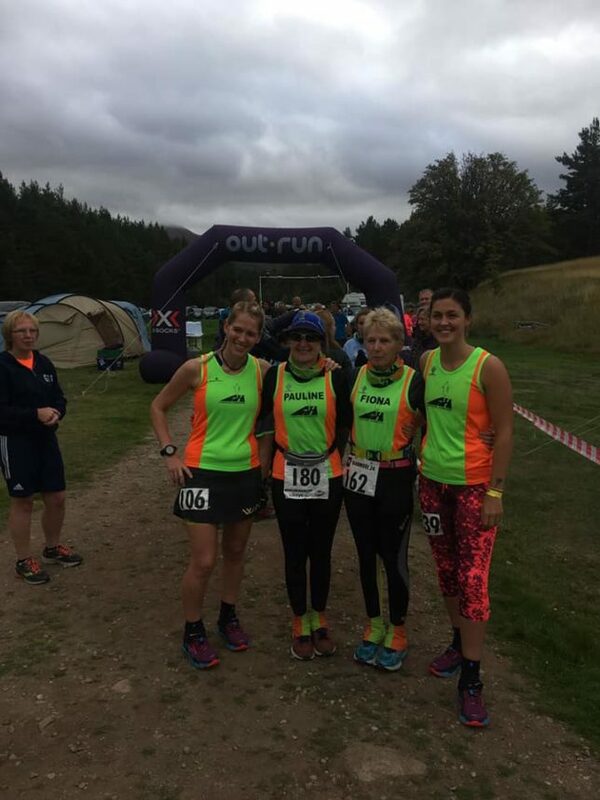 I’d ran the 12-hour race in 2016 and remember saying I’d never ever do the 24 hour race…but here we are, 2 years later, 2 years stronger and 2 years dafter! Never say never folks! We’d set our alarms for 9am, but I was woken at early o’clock by the van beside us deciding to go elsewhere. By then it was light and I tossed and turned for a bit before eventually getting another hour or so of sleep. 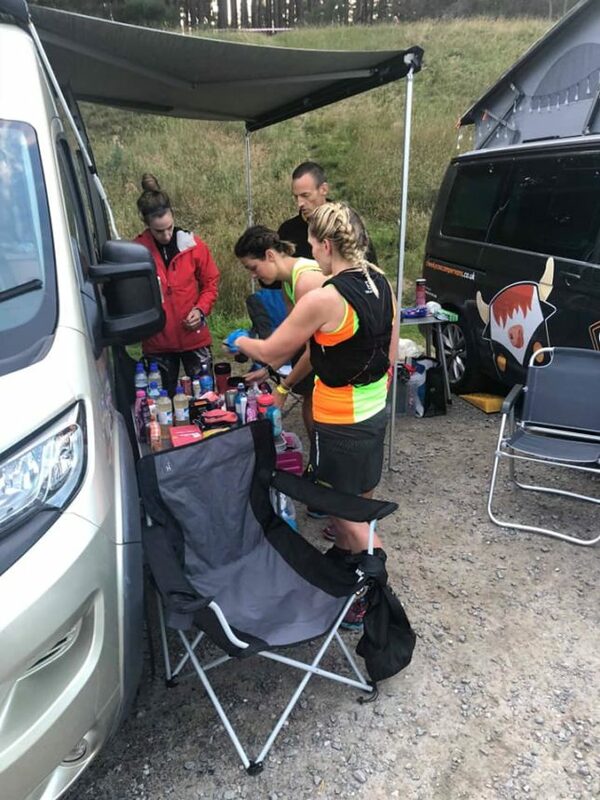 Around half 8 we got up, prepped our breakfast and wandered about the campsite in our pyjamas to visit the loos and register and then it was time to start getting ready and the chaos that had already descended upon the van into some sort of order for our poor crew! Jac Mac was on her way and Neil was half way up a mountain, but we had plenty of time to spare to talk them through where everything was, get lots of food and drink onto a table outside the van so that everything was easily accessible as we ran past with what we were likely to need so once race kit was on, feet were sorted and race hair was tightly in (thanks Jo, the best yet!) we tried to chill and have a cuppa while chatting to various runners who stopped by to say hi. We got along to the race briefing at 11.30am, listened to what we needed to know and then back to the van for a final sort of our kit. Our table was now a combined effort as we had so much of everything and knew we’d share a lot of stuff during the race. It’s very hard to plan your nutrition for an event this long as things always start off well and then it gets harder and harder to eat so what fuel you’re putting in your body becomes anything you can stomach/chew/keep down. My staples are always babybel cheese, muller rice, milkshakes, some kind of pasta, very sour sugary sweets and Active Root (a ginger based drink) for fluids. 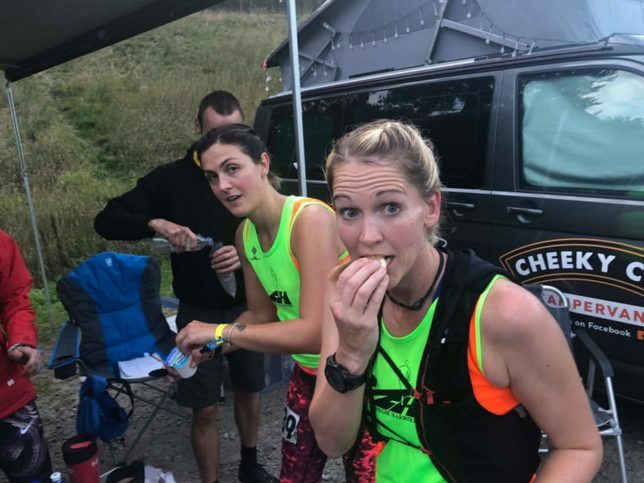 Not exactly oozing nutritional value, but during a race this long, calories are calories and when force feeding becomes a necessity, easily chewable is key. 10 minutes to go and we’re shuffling up to the start line and having a chat with Dave Andrews (who is unfortunately still injured) and Rodger Sangster and then manage to grab Fiona Rennie and Pauline Walker for a team photo. We’re still chatting away (you’ll quickly learn we talk a lot…!) and then the horn goes! Oops, we weren’t ready for that! Round the campsite to the sound of the cheers and the cowbells, walk the small hill out the campsite from the word go and then it’s on to loop number one with the sound of “slow down! !” coming from Neil ringing in our ears. It’s all about the cheese! Things felt good except for a twinge in my neck that I realised must have been from the momentum of swinging my body with a handheld bottle, which is something I wasn’t really used to. I’d trained with it, but having never run this long holding one I felt myself hunching to counteract the tightness and this made things worse. Luckily Jo is smart and had brought her Salomon pack and very kindly lent it to me to carry my bottle. Problem solved almost instantly, and it meant I could also carry some snacks for us en route as already the food consumption at the check point was slowing down a little. 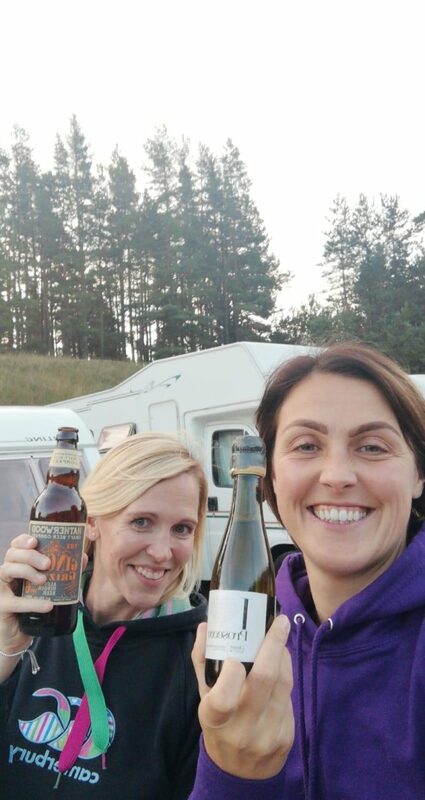 There was plenty of support at the campsite and out on the route but special mention to Derek Fish and his wife Rona who had come all the way up for the day to cheer us on, take some fab photos and supply half the campsite with a chippy! The plan was for us to have a proper feed at about 6pm, but we weren’t very hungry by then, so a couple of chips made do along with all the other sugary delights that took our fancy. The light started to fade about 8.30pm and by 9pm the heads torches were on. I’m never normally great at running with a headtorch as in makes me feel queasy but felt ok today! The chat was still in full flow and everyone we saw commented on how cheery and happy we were, and we really were. We’d been looking forward to this for so long and wanted to make the most of it, plus we knew there would be low points for both of us approaching soon, so eking out every bit of joy while it was there was essential. As it got darker the temperature dropped dramatically, especially at the Hay Field, and up until now we had changed from just vests, to vests and long sleeves and now it was time to get out the thermal tops. The Hay Field itself was so much colder than anywhere else on the route and as soon as we ran into the forest the sleeves were back up as we ran into warm pockets of air. Very weird, but it definitely kept the brain active! The runners were more and more spread out now and at times we’d see a few runners, then an individual runner and then no one for ages. Our chat was still in full flow and at one point to keep the spirits up a bit we opted to take the ipods with us for a little boost, only for mine to die less than a mile into the loops! Luckily I had 2 with me (a spare everything is a necessity in ultra running!) but I’d have to wait until we got back to the van to get it, so Jo decided some karaoke and “guess the song” was called for. This was an epic fail, but it gave us both such a laugh and hopefully lifted the spirits of those struggling through the dark around us. Either that or we were really getting on people nerves, but I hope it’s the former!! After a couple of laps in the dark my queasiness reared its ugly head. I’d had quite a bit to eat on lap 17 (68 miles in) including milkshake, pasta, a jaffa cake (which I wore on my face for nearly a loop!) and cheese, and although I felt fuelled I also felt full. This didn’t last too long but as soon as my low lifted, Jo slumped, and we had to work hard to push through and keep digging deep. The good side of running with someone is that you always have motivation to keep going. There were sections where we were both just running with our heads down and digging deep, one just slightly in front of the other but we knew at that point that getting to the 100 mile mark together was on and we had to keep pushing through. My feet started to ache a bit as I felt hot spots appearing under my toes and on the side of my big toe and as Jo was feeling the same we decided to spend a little longer at the next stop and sort our feet with new Compeed and Sudocreme. Winning combination right there! One of the downsides of crewing (apart from the lack of sleep) is dealing with delights such as this. 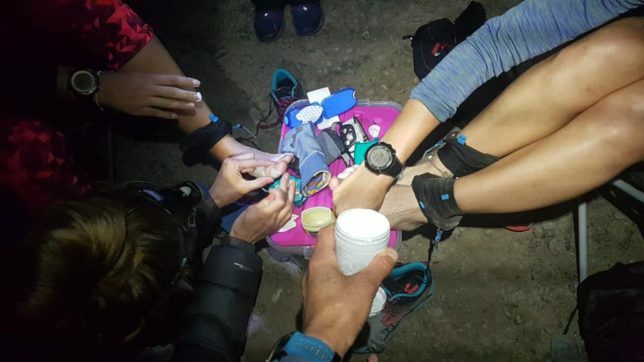 Luckily having a couple of runners as crew who have no doubt experienced the joys of blisters themselves were not phased in the slightest and helped us patch up our feet and send us on our way. Kudos to them, especially Jac who set about popping Jo’s blisters without a second thought. Top crew right there! There is no better feeling than fresh socks and my new thicker Injinji socks were an absolute delight to head back out onto the next lap in. Still in the pitch dark but my stomach had settled, we’d had a few minutes rest while sorting our feet and the mood was on the up again as we closed in on the 100 mile mark. The sun rise was beautiful and the mist sitting on the water and low in the forest made us think it was going to be an absolutely stunning day, and we were not wrong! The route came to life a little more now with birds singing, people’s spirits rising and a few who had had some sleep during the night rejoining us on the loop. Some were totally overwhelmed Jo and I were STILL nattering away close to 20 hours into our race!! Just before 8am we made our 25th loop which signified 100 miles. 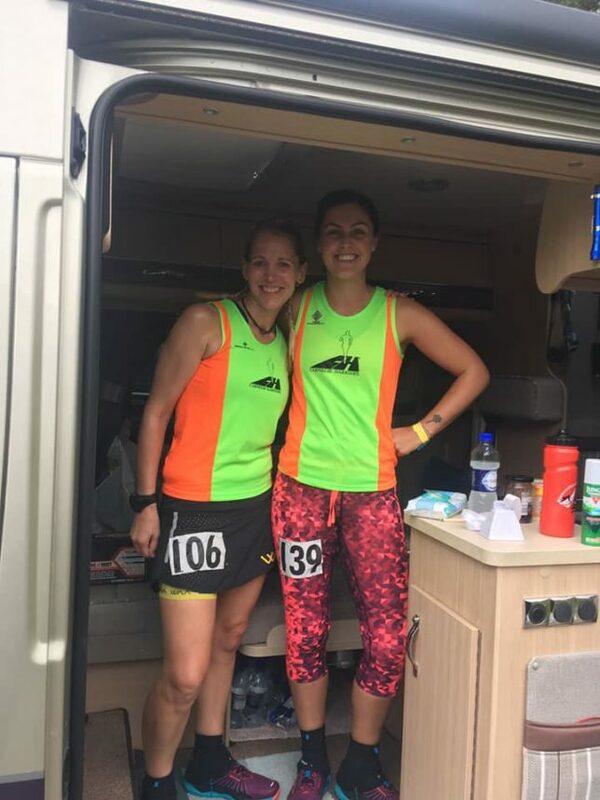 Quite excited about getting the horn (an air horn is blasted each time a runner passes through 100 miles) and made a quick change of clothes at the van before running under the arch to… nothing! The horn was on the blink, but not to worry as there were cow bells and cheers a plenty and I couldn’t wipe the smile off my face…for about 400 metres until we finished the loop of the campsite and realised that joy had worn off and we still had HOURS to go! It was time to up our game. We had discovered during the night we were sitting in 3rd and 4th female position and decided we had more to give and really, really wanted to push hard after the 100. I was starting to hurt a lot. I felt my energy levels were good and surprisingly after 21 odd hours on my feet I was still with it, but my hips were aching and seizing up on every downhill section. This is what slowed me in the last section of the West Highland Way race as well so I’m my venture in the world of yoga as of next week will sort this! Jo had pushed on after 100 miles and I worked hard to gain places as well. As I looped back to the campsite Neil informed me I was now sitting in 3rd and Jo wasn’t far being 1st and was still pushing. This delighted me, but not knowing where 4th was I pulled out all the stops and managed another 2 slightly faster laps (no where near Jo’s level of fast now, but she’s something else!). …which wore off quickly. Everything hurts again! I had enough time to do another big lap and would get back to the campsite with 40 odd minutes of wee laps, so off I went on final lap with my ipod and whatever chat I had left for people around me. It had now started to get pretty warm and I was glad of the shade of the forest section before being spat back out into the blazing sunshine for the last of the downhill section. My push to run was accompanied by a long yell of ache as I really gave everything I had to get back to the campsite for the final time. I dropped off my ipod, quickly coasted myself in sun cream and jogged with Neil to the wee laps where the party had already started and loads of runners were going round and round, some now back in fancy dress, some really picking up the pace and some just having a total carry on. The party tent was in full swing thanks to Noanie, Angela, Yan and co and it lifted everyone’s spirits to push for the final half hour. The hill up was now a mountain and the slope down un runable with my tight hips, but I did my best to propel off the bottom of the hill and run most of the lap each time until I hit the hill again. It was roasting!! Finally there was a countdown from 10 and I shuffled with all I had left to get a final few metres in and shoved my peg in the ground for my final distance to be measured. 24 hours of running, done. And with that, my body decided it had had enough. I manged to tiptoe back to the van with everything seizing up as I moved, somehow get into the van and then fall backwards on the bed for a good half hour until the world stopped spinning. I heard Jo shuffle up outside, her unable to get in the van and me unable to get out at the point in time, so we shouted our congratulations at each other while our fab crew went about tidying up for the couple of diva’s who were now rendered useless! I finally felt more human after lying with a cold towel on my face for a while and manged to get some clean clothes on for the prize giving. It was just brilliant to see everyone who had worked so hard for this and achieved their goals no matter what distance that was. 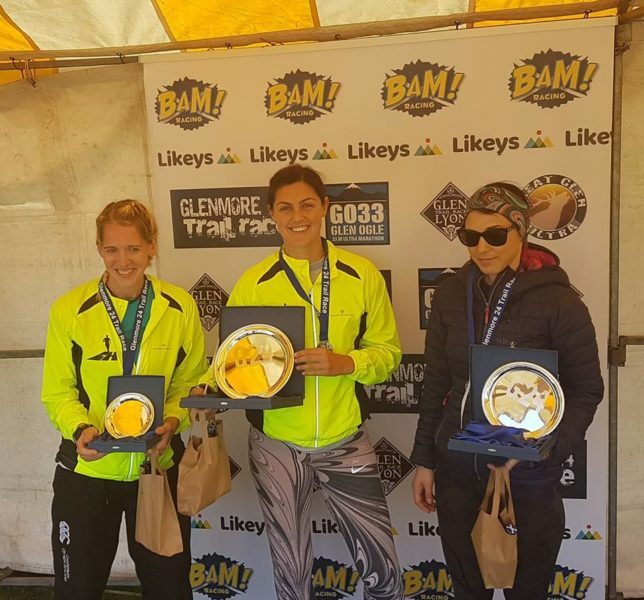 I was absolutely elated to have placed 3rd female with 118.5 miles at this event and Jo first with 123.6. There’s no better feeling than sharing your delight and achievement with someone who you’ve trained so hard with and when you know how much it means to them too. 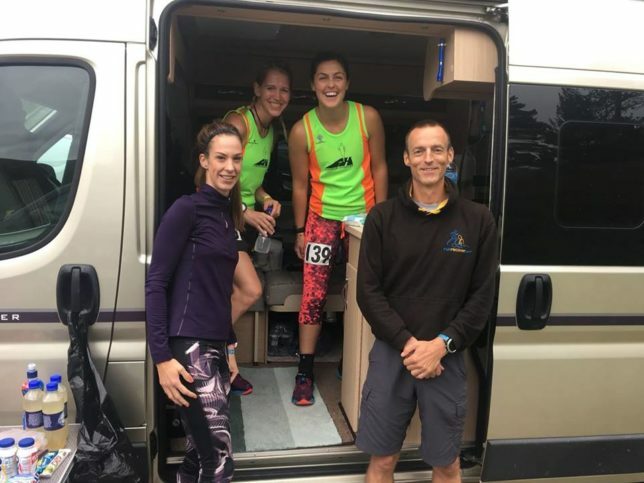 After a photo shoot with the Carnegie Harriers we got back to the van where we decided a good few hours kip was in order before attempting to drive back down the road. When I woke up I felt like I’d been hit by a bus and knew the journey back was going to be a slow and painful one with quite a few stops to stretch and drink coffee, but after quite an eventful weekend, I didn’t care as I was on such a high. Final few wee loops and doing everything I can to keep moving forward. Monday was back to a normal day at work and trying to describe why I was walking the way I was got quite a few different responses. Many a why, and to be honest I still don’t know, but now I just want to go further and see what else my body can achieve. “Strength does not come from physical capacity. It comes from an indomitable will.” – Mahatma Gandi. There a lot of people who ask me ”why”, and I can’t answer that yet. Running is something I love and I’m constantly improving with every distance event. There’s also the “how? !”, and to that the answer is grit. I’m not the strongest, leanest or fastest runner by a long shot but I wanted this so badly. I’d worked hard for it, having a slight dip after the WHW race which was expected but I was back to the hills as soon as my legs allowed. Having a great bunch of friends who have the same goals and ambitions as you do really helps, and it’s also good to bounce ideas off each other as to what to aim for next. Being outside and exploring the mountains and trails is the best thing in the world, what’s not to love?! Having a great coach who knows what he’s talking about works for me. It’s not for everyone but I find the guilt of not doing the planned sessions inspires me if I’m having an off day and knowing I’ll just have to work twice as hard on the next one always seems to motivate me to get out and get the session done. It’s all about how much you really want the results. There’s a LOT to do before my next big adventure, but I’m ready for it. Cheers again to the awesome crew (same time next year, aye?!) and all the lovely marshals who kept us cheery. And of course to BaM for another epic event. New year always seems to be about change. Whether is be changing yourself or changing things in your life, people always seem to use the new year to kick start these new habits. My New Year isn’t going to be so much about change, but more about focus. I had an amazing year last year; I got to go on adventures to places I’d never even heard of, I got to run some amazing races and go on plenty of wonderful training days out with awesome like minded people and I got to spend time with my loved ones, but I also wasted a lot of time. Be it through watching rubbish TV, looking at my phone at nothing in particular for too long (where does time actually go when you do that?! ), or going to bed too late and feeling rubbish in the morning so not getting up early enough to do all the amazing thing I had planned…THAT is my weakness, and that’s why I need more focus. I am working on becoming qualified as a personal trainer and I have a lot of work to do in the build up to it, especially since it has been quite a while since I sat down with my books and highlighters. Social media, smart phones and wifi didn’t exist when I was at University, so switching my focus brain back on will be hard!! The Great Glen has been quoted as being “one of Scotland’s toughest ultra marathons” and after Saturdays excursion, I wholeheartedly agree! This was to be my second biggest race to date and my ‘A’ race of this year. I had put so much into my training in the first 6 months of the year and with only a few blips in my training schedule I was more than ready to get going. On the Friday afternoon I finished up at work after what hadn’t been an ideal week. A cold appeared on Monday, plus I was covering fitness classes and 1-2-1 lessons right up until I left at 1pm on Friday after a very sweaty aqua aerobics class, so definitely not the ideal taper. However I was raring to go so after a quick shower, a last minute packing of everything apart from the kitchen sink and then unpacking everything to make sure I had indeed remembered my trainers, I was ready to go. Craig gave me a lift up to the station and I was finally on my way North. 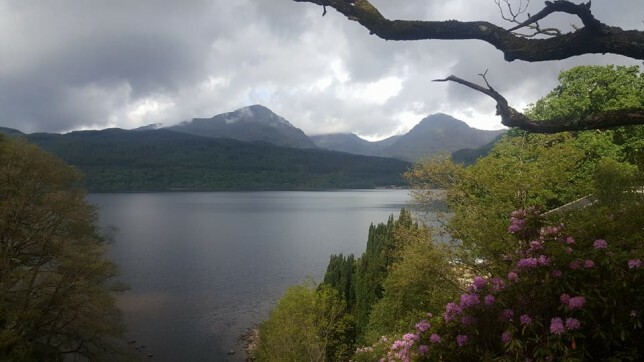 The hidden trails after Rowardennan. Definitely worth hunting out. The swimming term is coming to an end and just as well as I am completely exhausted. The kids have been bouncing off the walls for close to a month now, knowing that the summer holidays are fast approaching and my staff and I are counting down the minutes until the term ends! Then it’s straight on to fitness class cover which isn’t really the perfect preparation for a huge race, but needs must and I’ll just keep the impact low and my drill sergeant voice on top form! As ever, I’ve found the whole work/life/training balance hard and I’m still not getting it quite right. I took on a few more 1-2-1 swimming lessons in my own time, so even on beautiful nights I found myself heading home after work, putting a cushion over my head on the couch to block out the light and passing out for a good 20 minutes before getting out to do my training. I’ve been following a Neil MacNicol training programme now since March and I’m definitely feeling stronger and leaner, but also 10 times more knackered and still haven’t found my love for speed work. Does anyone ever? I do struggle with speed work on my own, but with very little time to now get to running club I find if I have a plan I will (mostly) follow it even if I don’t really feel like it. My speed will come back, for now it’s all about the endurance. 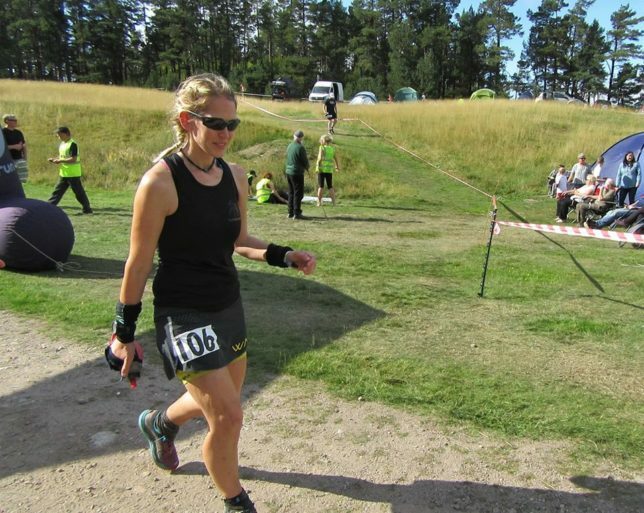 My first attempt at the Cateran in 2015 was the first time I’d ran further than 33 miles. 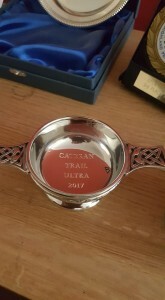 I was nervous and probably a little under trained having just come back from injury but I had a great day out and finished in a not too shabby 11 hours 30 minutes. Heading up this year I had an idea of what time I wanted and sourced some splits from check point to check point from previous races. I noted these down with the plan to jot them on my hand the following morning as a rough guide. After work on Friday I headed home, finished my packing and headed through to Stirling to pick up Lois who was marshalling and then head North to Glenshee. Once again I was staying in the Gulabin Lodge which is right on the start line and meant not too much stressing about time and getting things done before the race. Once we arrived I went about registering, picking up my lovely kit bag memento (an awesome light blue colour this year), saying hi to all my friends and finding my room. I was staying in a room with the lovely Stonehaven ladies: Claire, Jo and Lindsay and being the last to arrive was up on the top bunk of a seriously shoogly bed. Every time I moved the whole bed shook, so apologies to Jo if you felt like there was an earthquake during the night! !